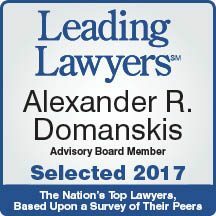 Alexander R. Domanskis has represented corporations, partnerships, limited liability companies and individuals in acquisitions and sales, financing, litigation and general business planning for over thirty-five years. He has had significant experience in real estate, including financing in 20 states, leasing and zoning. For his clients, Al also provides estate and succession planning. He was the court appointed administrator of a $200 million settlement fund in the Folding Carton Antitrust Litigation. 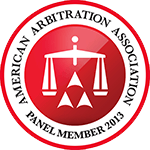 He has been an arbitrator for the American Arbitration Association in connection with real estate and business disputes since 1987. In 1977, Al began his career as a Law Clerk to Judge Edwin A. Robson of the United States Court for the Northern District of Illinois. In 1979, Al joined the law firm of Ross & Hardies as an associate and was named partner in the law firm in 1985. From March 1987 through December 1990, Al was jointly associated with Ross & Hardies and with Intercounty Title Company of Illinois, a title insurance agent with real estate, financial and credit reporting subsidiaries. In January 1991, Al returned to the full time private practice of law with Ross & Hardies. In April 1994, Al left his partnership at Ross & Hardies to become a partner with Shaw Gussis & Domanskis which became known as Shaw Gussis Domanskis Fishman & Glantz. In April 2002, Al joined in establishing Boodell & Domanskis, LLC. Closed numerous commercial and residential real estate transactions for buyers and sellers. Established and completed numerous real estate tax-free exchanges, prepared and negotiated real estate financings, refinancings, construction and end loans of up to $350 million for commercial lenders and borrowers throughout the country. Prepared and negotiated numerous commercial and retail leases for landlords and tenants in downtown and suburban Chicago markets. Litigated real estate partnership, mechanics liens, zoning, title insurance, construction, mortgage foreclosure and condemnation cases. Managed a title insurance claims department and a 30 person mortgage credit reporting company. Handled various rezonings and annexations before the City of Chicago and Cook County Boards and Committees, Burr Ridge, Lemont and Oak Forest including a planned unit development rezoning of a 230 acre parcel in Lemont from inception through the entry of a consent decree in the Circuit Court of Cook County. Prepared various opinion letters and counseled municipal officers for Northbrook, Mount Prospect and Barrington Hills. Former Corporate Counsel, Corporate Secretary and Member of Board of Directors of Intercounty Title Company of Illinois, various subsidiaries and related corporations. Negotiated and prepared documentation for numerous business agreements and purchases and sales of businesses. Former General Counsel, Corporate Secretary, Member of the Board of Directors and liaison with the Illinois Commissioner of Banks and Trust Companies for Independent Trust Corporation. Court appointed trustee to distribute $200 million Folding Carton Antitrust settlement fund; trust and estate planning for family businesses and individuals. Litigated numerous temporary restraining orders and preliminary injunction proceedings and litigated various commercial, real estate and product liability disputes. Litigated and mediated family shareholder, libel and employee termination disputes. Handled all aspects of purchase, sale, liens, licensing, litigation, and contracts for restaurants and bars since 1980. 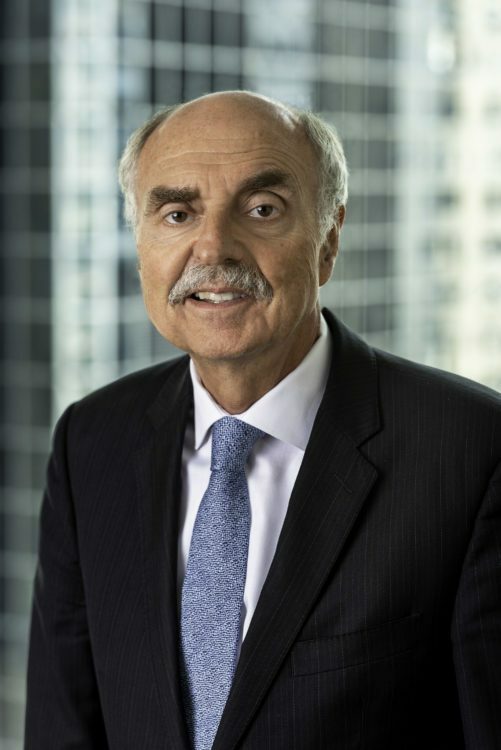 Al is the past Chairman of the Board of Directors and President of the Lithuanian World Center located in Lemont, Illinois. His community involvement includes legal representation of numerous not for profit organizations. Member of the Chicago and American (Member, Business, Probate and Real Property Section) Bar Associations. Al is fluent in Lithuanian and moderately fluent in Spanish. 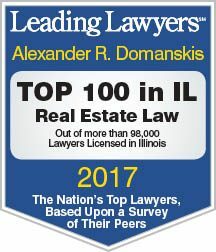 Recognized as a Top 100 Real Estate Lawyer in Illinois by Leading Lawyers (2015-2018). Named a Leading Lawyer in Closely & Privately Held Business Law, Real Estate Law: Finance, Real Estate Law: Commercial, and Land Use, Zoning & Condemnation Law (2010-2018). Member of Leading Lawyers Advisory Board (2017-2018). Named one of the top 100 lawyers in Illinois (2016-2018) by Super Lawyers and an Illinois Super Lawyer, Real Estate (2006, 2012-2018). Awarded Martindale-Hubbell’s highest AV Rating (1997-2018). Recognized in Who’s Who in American Law (1985-1988, 1994-1995, 1998-1999, 2002-2008). Recognized in Who’s Who in Emerging Leaders in America (1987-1988). Recognized in Who’s Who in the Midwest (2010-2013). Recognized in Who’s Who in America (2004-2005, 2008-2013). Recognized in Who’s Who in the World (2005-2006, 2010-2013). Named Man of the Year by Ghana National Council of Metropolitan Chicago (2001). Conferred the Order for Merits to Lithuania (Officer Degree) presented by President Adamkus of the Republic of Lithuania (2003). Honored for work with the Lithuanian World Center (2003; 2012). Honored for dedication to Helping to Build the House of Hope by Salem Baptist Church of Chicago (2005). Received a Certificate of Appreciation in recognition of valuable service to the Lithuanian American Community of Omaha (2005). Named Balzekas Museum of Lithuanian Culture Person of the Year (2006). Braithwaite, Domanskis, Lenet and Siegel, Illinois Land Use Regulations and Issues, Lorman Education Services (2008). Major Land Use Laws in Illinois, Volume 1, National Business Institute (1998). Negotiating The Maze of Land Division Regulations and The Law of Nonconforming Uses in Land Use Law Update in Illinois, National Business Institute (1997). Between Two Worlds in The Ethnic Handbook: A Guide to the Cultures and Traditions of Chicago’s Diverse Communities, Illinois Ethnic Coalition (1996). International Contract Law, Proceedings of the International Congress of Law in Lithuania (1992). The Journal: After A Decade, 11 University of Michigan Journal of Law Reform 1 (1977). Small Claims Courts: An Overview and Recommendation, 9 University of Michigan Journal of Law Reform 590 (1976), reprinted in 26 Law Review Digest 16 (1977), excerpted in P. Carrington & B. Babcock, Civil Procedure 707 (1977).